BEIJING — Asian stocks declined Tuesday after Britain said Prime Minister Theresa May will announce London's plans to withdraw completely from the European Union. 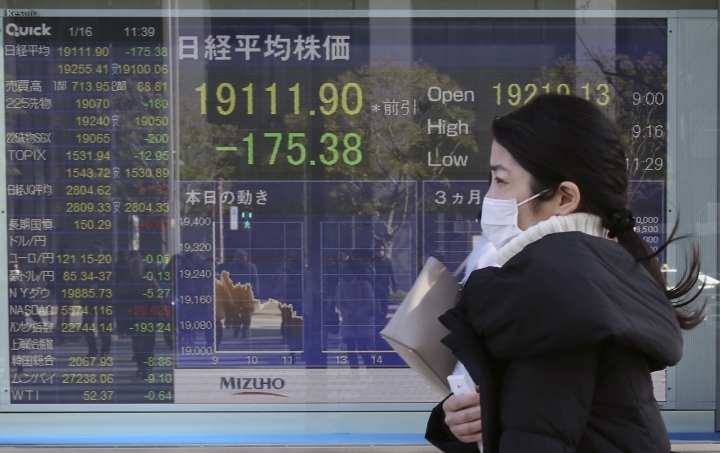 KEEPING SCORE: Tokyo's Nikkei 225 index lost 0.6 percent to 18,985.76 and the Shanghai Composite Index lost 0.1 percent to 3,099.34. 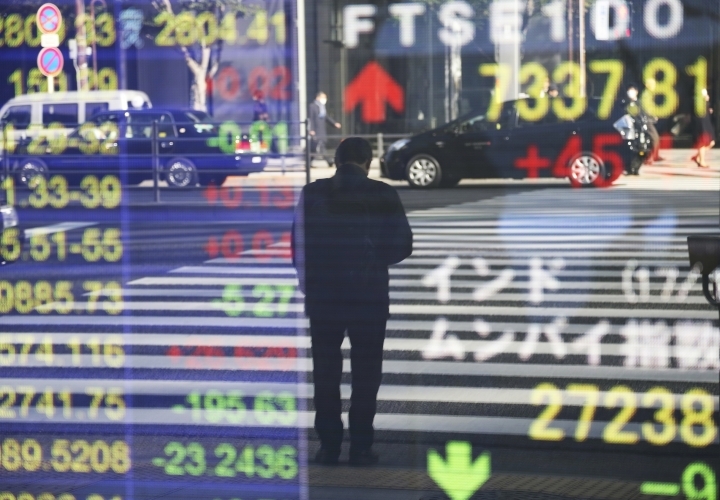 Sydney's S&P-ASX 200 fell 0.8 percent to 5,702.50 and New Zealand also dropped. 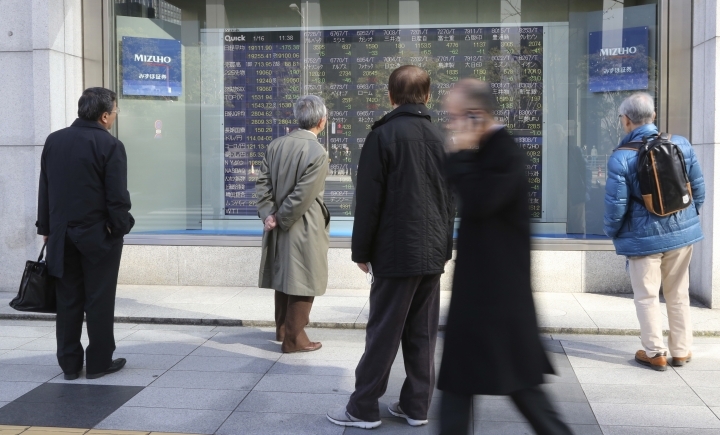 Seoul's Kospi added 0.5 percent to 5,075.06. Indonesia gained while other Southeast Asian markets fell. U.S. markets were closed for a holiday. BREXIT: The British government said Prime Minister Theresa May, in a speech Tuesday, will announce London wants a clean break with the European Union and will not seek to remain "half-in, half-out." Fears about the impact on trade and finance of a British withdrawal have roiled global markets since Britain's public voted in June to leave the common market. The British pound has lost one-fifth of its value since June. Excerpts of May's speech released by her office say she will call for a new relationship with the EU and promise Britain will expand international ties. STERLING: The British currency held steady at its lowest level since October, when a "flash crash" pushed it to a 31-year low against the dollar. It was at $1.2061 after falling Monday from the previous session's $1.2183. EXPERT VIEW: "Despite the pound-dollar having declined to levels below the flash crash in October, the market appears to be bracing for further deterioration of conditions," said Jinyi Pan of IG in a report. "Tough rhetoric from PM Theresa May, citing that the UK will not be 'half-in-, half-out' of the EU paints a worrying picture for trade relations and the hub-status of the UK in the Eurozone." CHINA'S UPGRADE: The International Monetary Fund raised its growth forecast for China but warned about rising debt that has prompted concern about the country's finances. The IMF said the world's second-largest economy should expand by 6.5 percent this year, up 0.3 percentage points from its last forecast in October. However, growth is supported by government spending and surging credit, which "raises the risk of a sharper slowdown," the agency said. The report adds to mounting warnings about the economic drag of debt that has soared since the 2008 global crisis as Beijing used infusions of credit to shore up growth. ENERGY: Benchmark U.S. crude gained 10 cents to $52.47 per barrel in electronic trading on the New York Mercantile Exchange. The contract fell 64 cents on Monday to close at $52.37. Brent crude, used to price international oils, lost 11 cents to $55.75 in London. It lost 39 cents the previous session to $55.86. 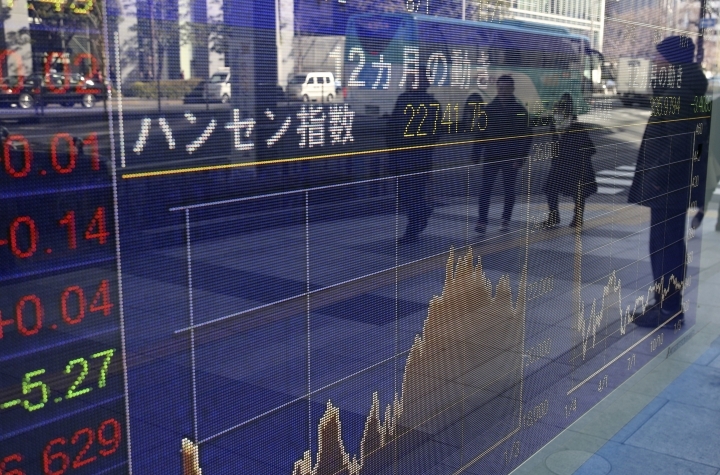 CURRENCY: The dollar gained to 114.08 yen from Monday's 113.94. The euro edged up to $1.0618 from $1.0613.